Lami H. Coyle is one of the founding partners in the Toledo/Sylvania law firm of Brady, Coyle & Schmidt, Ltd. The main area of emphasis of her practice is domestic relations which includes all areas of family law, divorce, dissolution, custody, support, parentage, grandparent rights, juvenile court proceedings and prenuptial agreements. 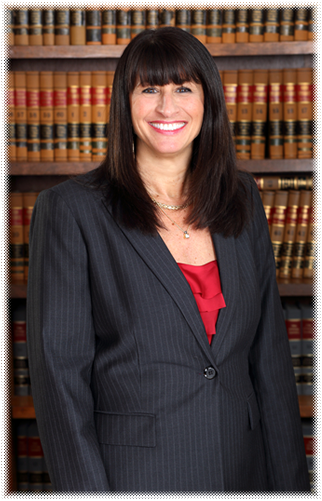 She also has significant experience in real estate, civil litigation, wills and estate planning. She graduated from the University of Toledo with a Bachelors of Arts and Science in 1981 and from the University of Toledo College of Law with a Doctor of Jurisprudence in 1984. Ms. Coyle is or has been a board member of the Sylvania Area Joint Recreation District; City of Sylvania, Board of Zoning Appeals; Community Improvement Corporation; Planning Commission and Architectural Review Committee; Executive Committee of the University of Toledo, College of Law Alumni Association; American Cancer Society and Mid American Bank Advisory Board. Ms. Coyle is a member of the Toledo Bar Association, the Domestic Relations Committee, the Ohio State Bar Association, the Ohio Academy of Trial Lawyers Association and the Toledo Women’s Bar Association. Lami is a life long resident of Sylvania, Ohio. She has almost 30 years of experience and concentrates her practice in Domestic Relations law. Lami is admitted to all Ohio Courts.